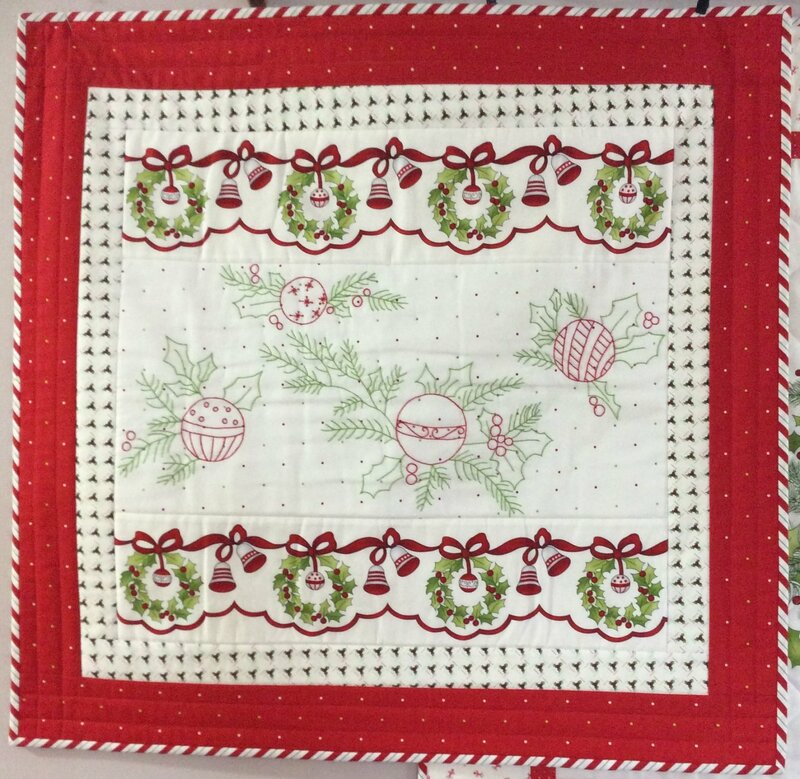 This adorable wall hanging features a center hand-embroidered panel and uses fabrics from the "Ring in The Holly Days" fabric line by Mary Jane Carey of Holly Hill Quilt Designs for Henry Glass Fabrics. This Patchwork Garden kit (PGK) includes the pattern and fabrics for the top and binding. Finishing at 30" x 27.5", our sample uses Cosmos threads 346 and 325A for the hand stitching. If you'd like us to include these threads in your order, please give us a call at 716.810.9088.